AESTHUS provides homely comfortable accommodation with modern facilities. 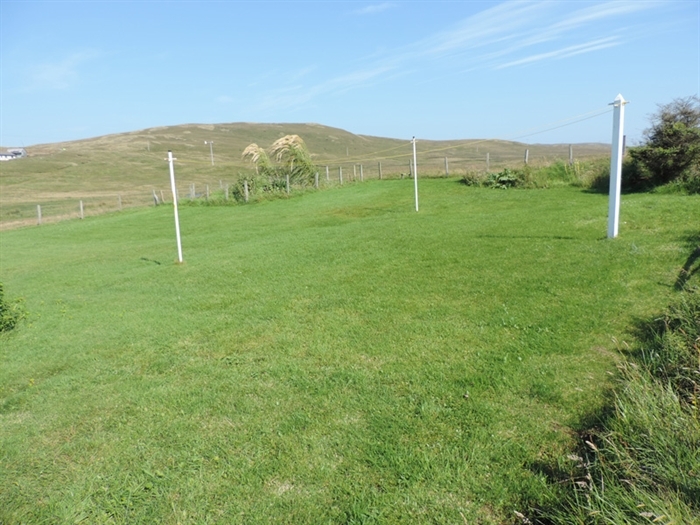 The cottage, with excellent sea views, sits on a working farm rearing pure Shetland sheep and Beef cattle. There is a small marshland loch which is overlooked by one of the upstairs bedrooms where many birds nest. Shetland ponies, otters, seals and hares are some of the wildlife seen in this area. Aesthus is only about 6 miles from Lunna House, well worth a visit and which played a major part in "The Shetland Bus". Also we have "The Cabin", a small museum, mostly of military memrabelia, on the road to Vidlin. 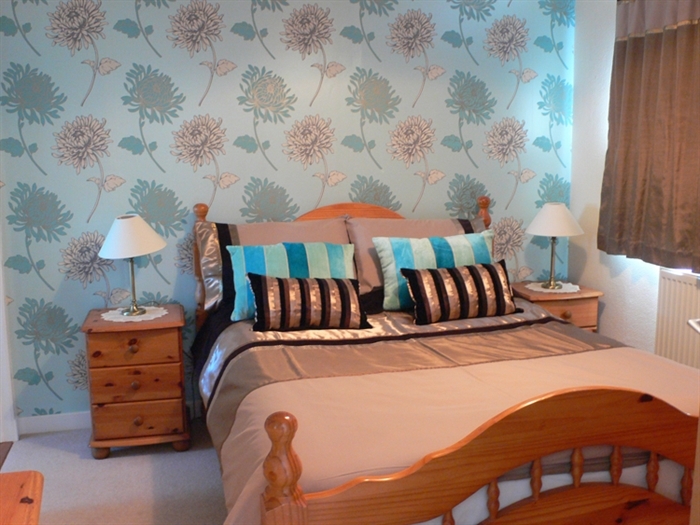 Aesthus is fully furnished and equipped with bedding, sheets, towels, crockery and cutlery for six people. Heating is by oil fueled central heating which also provides hot water - the charge for this is included in the rent. Cooking is by electricity. There is also an electric fire in the living room. Sole use of the drying green and garden, which is suitable for children, there is also ample parking space. About half an hour's drive from Lerwick brings you to this lovely cottage, only 2 miles from our excellent local shop. Also convenient for ferries to Whalsay, Out Skerries and the northern isles of Shetland. We welcome stays with a minimum of 3 nights, please contact us for further information. 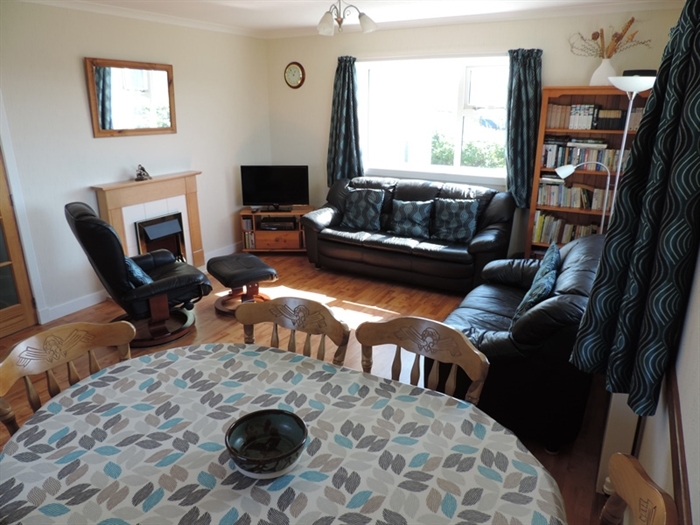 ACCOMMODATION COMPRISES:- Spacious sun porch, open plan living room/dining room/kitchen. Three bedrooms - 2 twin on the first floor and one double on the ground floor with en-suite shower, toilet and washhand basin. 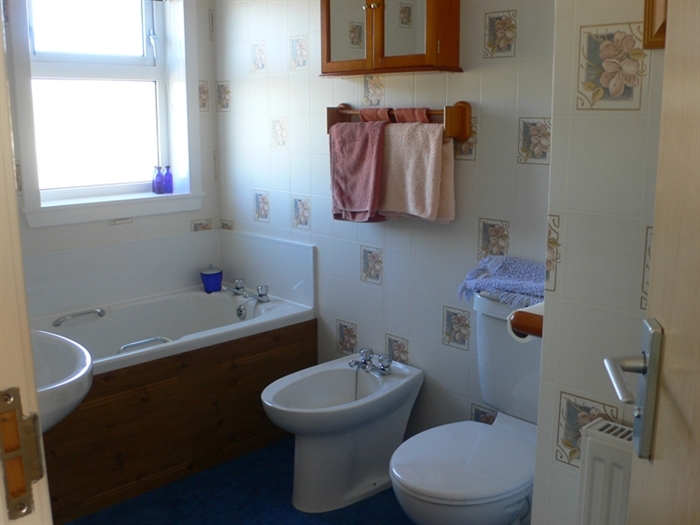 Bathroom with bath, toilet, washhand basin and bidet - also on the ground floor. WiFi is available at Aesthus along with TV/DVD and VCR provided and a plentiful supply of books for all ages, a few videos and some games. We are sure that you will find this area very interesting and welcoming. We look forward to seeing you. 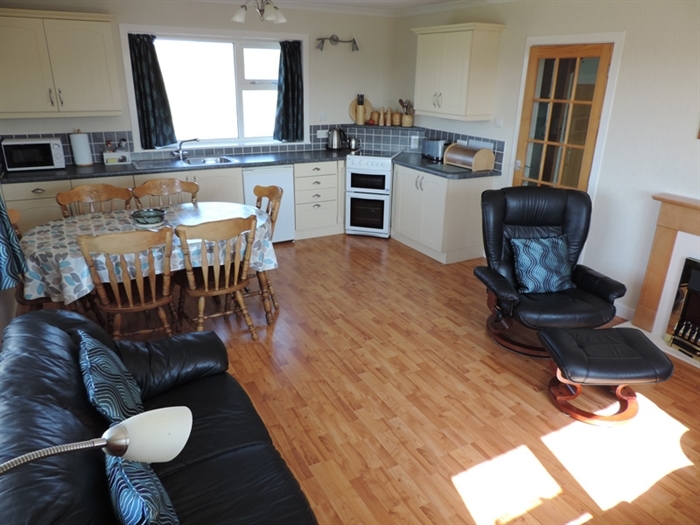 "Another lovely stay here at Levaneap, great accommodation, great scenery and great people. As always we are made to feel most welcome." "Max and Isobel could not have been more kind. 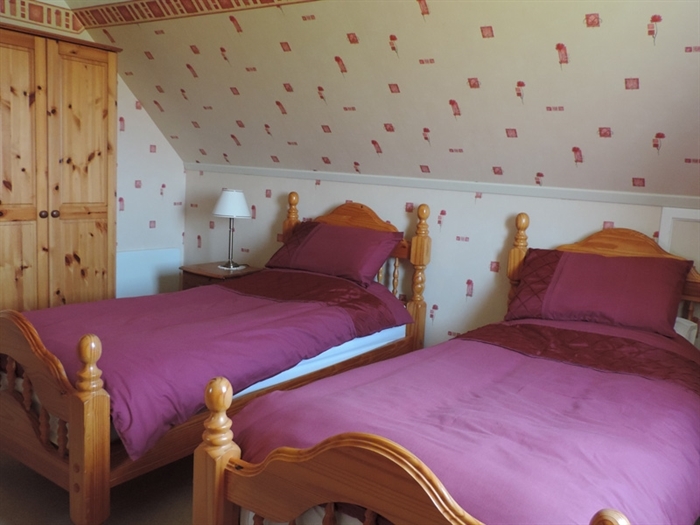 Super cottage with everything you need and comfy beds to boot, not to mention views all round in glorious technicolour when the sun decided to come out"